A bloody, atmospheric modern classic of crime literature and one of the most haunting and terrifying thrillers to come out of Europe in recent yearsWritten in the spirit of the sensational murder story and combined with a rich Gothic atmosphere, thistale, now translated into 11 languages, traces the steps of a killer through the seven cathedrals of modern day Prague. The narrator, a policemanknown simply as K, witnesses a bizarre accident followed by a series of mysterious murders. This event triggers a series of meetings with Gothic characters who appear to be trying to reconstruct the medieval "golden age" of Prague in the reign of Charles IV under the noses if its modern-day inhabitants. 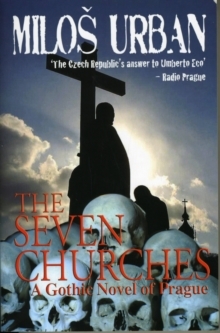 The book"'"s bloody and nightmarish plot willdazzle readers of thrillers, but ultimately the novel is much moreit'sa brilliant postmodern interpretation of the historical topography of late-medieval Prague and a vision of a civilization in decline."